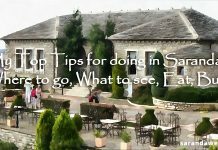 First timers or not, Saranda never fails to have something exciting in store for every kind of tourist. I have been to the place several times and I always make it a point that I try something new every moment that I get the chance. It was early morning when I found myself in Delight Restaurant. The name itself was intriguing so I decided to check it out. 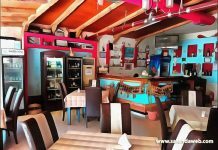 I had some friends telling me that it is certainly worth the visit and they went so much as to say that it is one of Saranda’s best bars. So, I thought that I might as well see for myself what the place has to offer. The restaurant was already brimming with early customers when I arrived and the server helped me find a vacant table. She also informed me that they offer free WiFi and this is another plus point for me. I thanked her and ordered a cup of coffee and she asked me to wait for just a few minutes. While I was waiting, I busied myself checking my social profile but my interest was caught by the nice furniture used in the place. Everything looks very chic and modern, which is why I wasn’t surprised to see that most of the patrons are the modern young professionals, many of them are enjoying a good morning chat over a steaming cup of coffee while others are sipping their delicious looking smoothie. 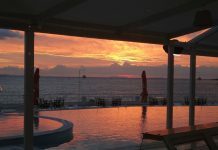 It is obvious that the place has been created with the younger and more modern clients in mind. The overall appeal of the place is too hard to resist and for someone like me who never really pays attention to designs and decorations, I’d say that this is one of those rare occasions when I do take notice of my surroundings and my attention was caught by its contemporary vibe. After the bland coffee that I had in the port on my way to Saranda, the coffee that was served to me was definitely a great delight. It was very rich in taste and I decided to order another cup to officially kick start my day. Delight Restaurant does not only specialize in coffee as it is also known for their great tasting smoothies and ice cream, both of which are included in their bestsellers. Later that same day, I went back to Delight to try the ice cream to prove what I read in the reviews and I was not the least disappointed. It was a very tasty ice cream that I ordered several times before my palate is completely satisfied. Should You Try Delight Restaurant? Whether you are a coffee, smoothie or ice cream lover, you can expect to get a great dose of your favorite at Delight Restaurant. Combine this with excellent service and wonderful experience, this definitely comes highly recommended in my list.